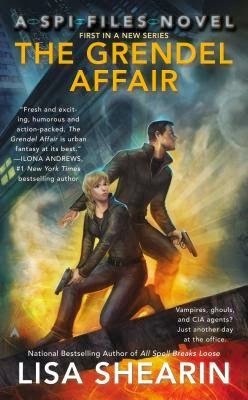 I have to admit that when I saw the cover for THE GRENDEL AFFAIR I almost overlooked it as it "screamed" police procedural/sci-fi, which is a really hard sell for me. Luckily I then noticed the author quote from Ilona Andrews proclaiming it to be "urban fantasy at its best." Well then I knew I had to read the blurb and more than likely the book, as she's one of my favorite authors and is very up front about giving out very few book recommendations. After reading this book, I whole-heartedly agree that this is one heck of an urban fantasy read that frankly caught me off guard. Sure there still is the feel of the procedural aspect as it does revolve around an investigative service, but it's paranormal, not sci-fi and I have to admit I wish the cover had more of that look especially since it had a lighter and quirky feel due to the clumsy narrator that was incredibly endearing. You just wouldn't expect that kind of humorous read from such a cover, and I'm a big advocate for the cover matching the content. Putting the cover issues aside, I really loved this book. Mac's character is awesome. She's so quirky and spunky, yet hopelessly clumsy. It was more than a little hilarious seeing her navigate through everything that was thrown at her, and her reactions had me laughing out loud. Trust me, considering some of the more gruesome aspects of this book, it's a true testament to Mac's character that she was able to keep things so light. The rest of the cast of characters were pretty stellar as well from Mac surly partner, Ian, to her Dragon-in-disguise boss, the werewolf Sasha, I could go on and on. Each one had their own unique personality that really shown through, making for the best kind of read. THE GRENDEL AFFAIR hit all my must haves for a great book. 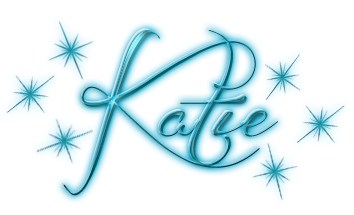 (Well all except romance that is, but the rest of the book was more than entertaining to make up for the complete lack.) From laugh out loud humor, to great characters, to an edge of the seat plot, THE GRENDEL AFFAIR is simply not to be missed!